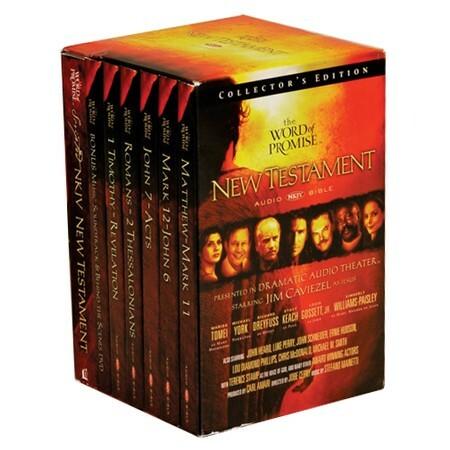 This 20-CD set features over 120 actors, including Jim Caviezel (The Passion of the Christ), Kimberly Williams-Paisley, Marisa Tomei, Lou Diamond Philips, and Louis Gossett Jr., presenting the words of the New Testament in 21 hours of dramatic audio theater. Includes a special bonus behind-the-scenes DVD and beautifully scripted softcover NKJV New Testament that allows you to follow along with the actors, and even includes the sound effect direction and production notes. A perfect way for you and your family to share the Word of God together.